We wish you a happy, healthy and successful New Year 2019! There were many new and interesting developments in the world of sports during 2018. With your help, we were able to initiate and successfully complete many different projects. The 2018 year is now drawing to a close. We would like to thank you for the trust you have shown us and for your positive collaboration. After all our activity, however, the end of the year should also be a time of reflection. We hope you enjoy the coming Christmas holidays and new year with your family and friends. We are confident we will enjoy interesting meetings, great sports experiences, and joint projects. We wish you a peaceful and relaxing Christmas break and a happy, healthy and successful New Year in 2019. We wish you a happy, healthy and successful New Year 2018! 2017 was an eventful and momentous year. With your help we were able to initiate, experience and achieve a lot. Now the year is drawing to a close and we want to take this opportunity to THANK YOU for your trust in us! Enjoy the coming days with your family and friends. We wish you a happy, healthy and successful New Year 2018! Visit us at the FSB 2017! The International Trade Fair for Amenity Areas, Sports and Pool Facilities FSB will take place from the 7th until the 10th of November 2017 in Cologne. And of course we are participating again this year. Discover our brand new products in Hall 9.1, Stand C028 / D029. We cordially invite you to come visit us! For further information please visit the official FSB website: www.fsb-cologne.com. 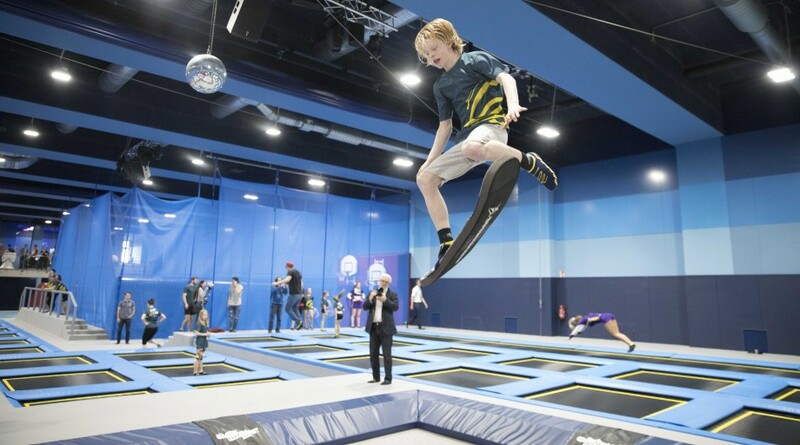 1800 m² trampoline and freestyle area, more than 80 trampolines on six different areas including dodgeball, wall and freestyle trampolines, parkour and Ninja Warrior area & many more. Definitely worth a visit! 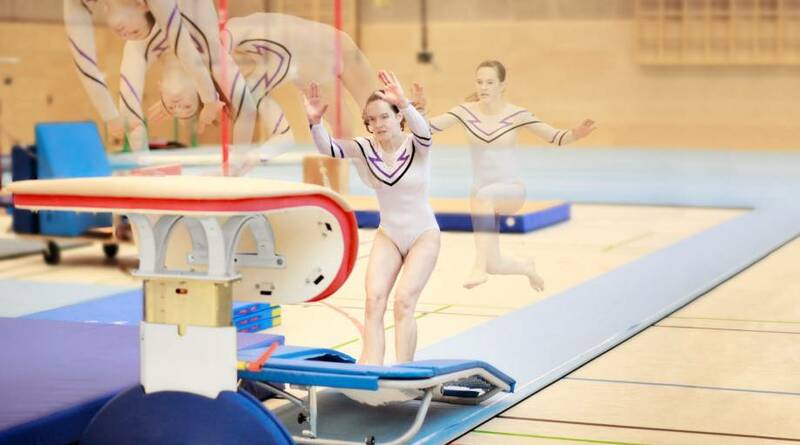 From 2017 Horizontal Displacement measurements are being introduced for FIG trampoline competitions. 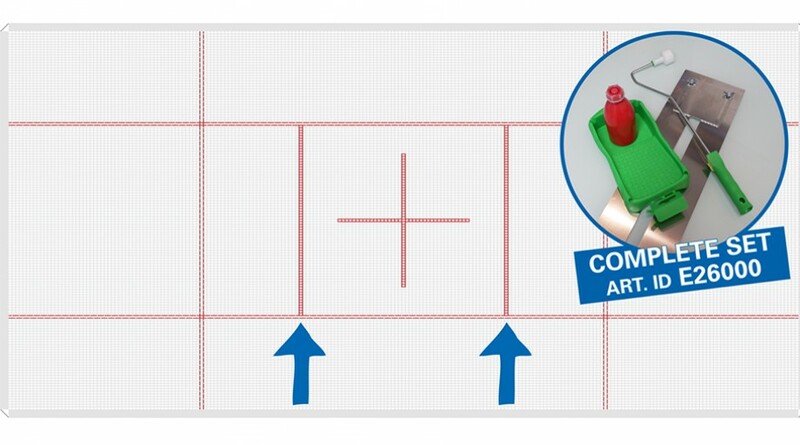 With the new regulations, all jumping beds which are used in FIG competitions must be marked with two additional red lines. How these additional lines can be added to the jumping bed, in order to comply with the new FIG norms, can be found in our detailed instructions. New 4 x 4 mm, 5 x 4 mm und 6 x 4 mm jumping beds are shipped with the new additional markings since January 2017. If you have any questions, please contact the Eurotramp team at welcome@eurotramp.com or Tel. +49 7023-94950. To provide its guests with an adventure and exercise programme that does not depend on the snow and weather, the owner of the family-owned “Feldberger Hof” hotel, Thomas Banhardt, came up with something very special: the FUNDORENA, Germany’s highest hotel-managed indoor adventure hall, with a unique design that extends across three floors and covers a total effective area of 4,000 m², was constructed within just one year! The FUNDORENA houses an indoor high-rope course, an ice rink and a riding arena as well as a unique and spectacular 500 m² trampoline landscape. 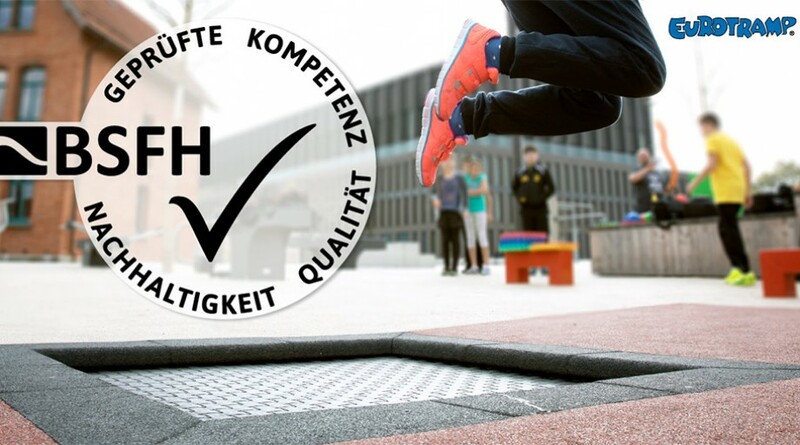 In a very tight planning phase, Eurotramp GmbH, a multiple Olympics supplier from Weilheim/Teck in Swabia, developed a customised, target group-specific overall concept for the trampoline area. 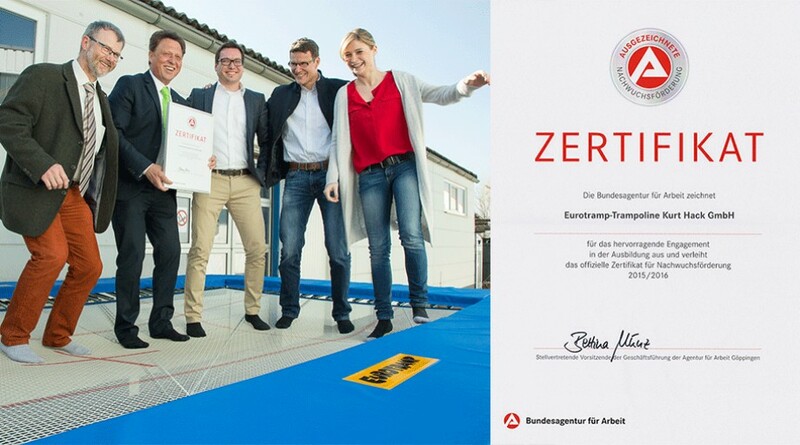 The globally unique children’s trampoline landscape was designed and implemented in close cooperation with long-term partner Benz Sport from Winnenden in Swabia. 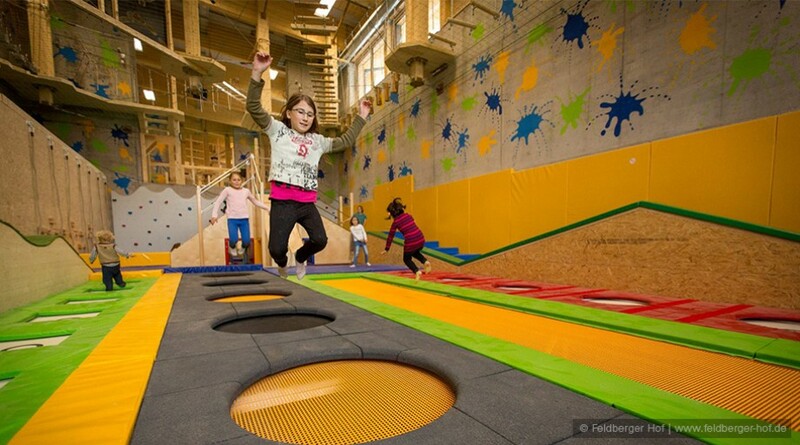 In the 200 m² “Kids Fun Trail”, the youngest guests can run riot on a total of 36 trampolines. Individual trampoline models with different jump characteristics and a diverse range of terrains, including a unique trampoline staircase, provide the necessary diversity. The 190 m² dodgeball arena with 32 jumping fields can be used for classic dodgeball as well as for free jumping. Special high-performance trampolines in the 135 m² freestyle area allow jumps of up to 8 m high with a safe landing on an oversize airbag. Snowboarders, freeskiiers, skaters, etc., will find the ideal conditions for indoor training. We wish you all a healthy and prosperous 2017! 2016 was a really amazing year as so many innovations and new products were born! The Freestyle section opens new fields of play for a new generation of enthusiastic trampoline acrobats and that enriches the whole trampoline world and will spread that passion into all fields of trampolining. New technologies implemented into trampolines will inspire trampoline fans more than ever before. The digital revolution has started and we will soon come up with light, sound, water, energy and action combined with trampolines! Stay tuned! 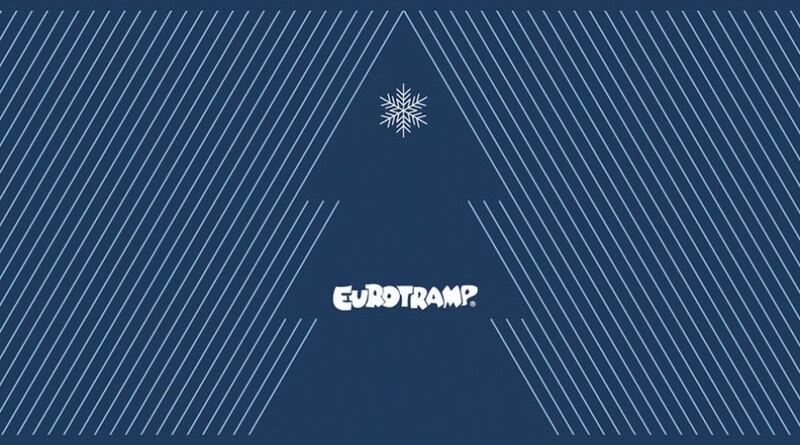 For that moment we would like to thank you for your confidence in Eurotramp and for the very good cooperation. 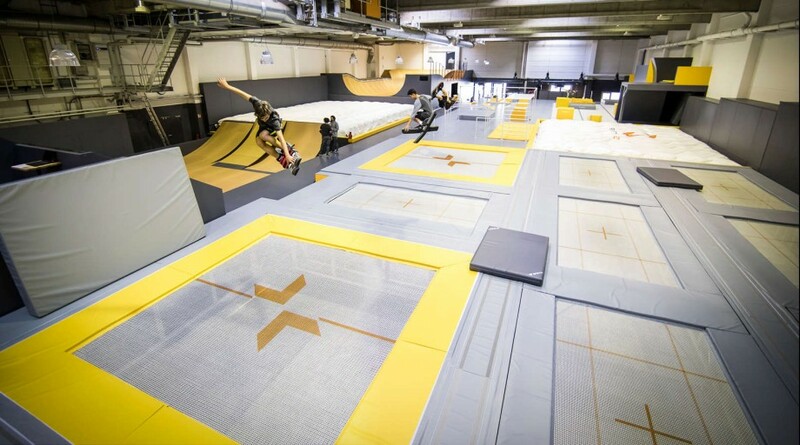 In Munich‘s first indoor freestyle hall you now jump on trampolines made by Eurotramp! Since July, beginners and professionals can improve their freestyle skills independently of weather conditions on a total area of 1700 m² at the Gravity Lab in Munich. Nine Grand Master Freestyle in-ground trampolines and two brand new Freestyle Fivesquare trampolines from Eurotramp were installed in the 260 m² large trampoline area. Curious? Further information on www.gravitylab.de. Worth a visit! 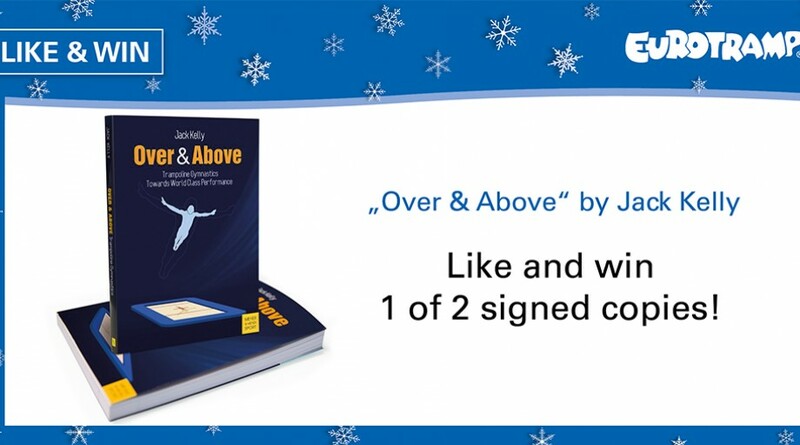 Enter now for your chance to win 1 of 2 signed copies of "Over & Above | Trampoline Gymnastics: Towards World Class Performance" by Jack Kelly! How can I join this contest? Like this post on Facebook! 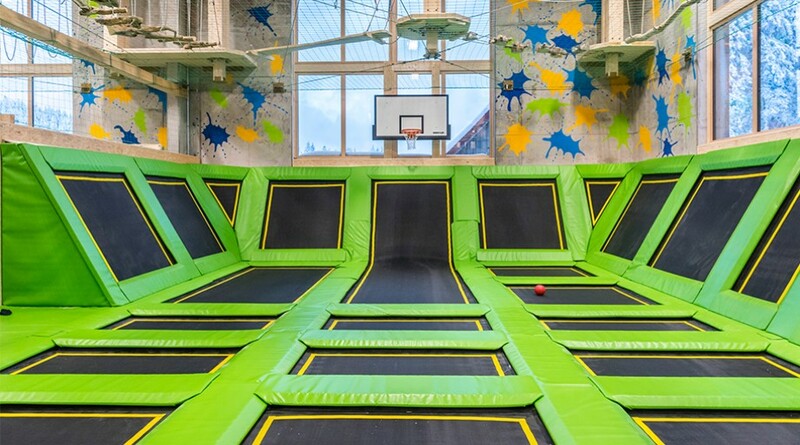 Indoor trampoline park, freestyle zone and a unique trampoline area for kids – all these will be inaugurated from December on at FUNDORENA // Familotel Feldberger Hof (Black Forest, Germany). 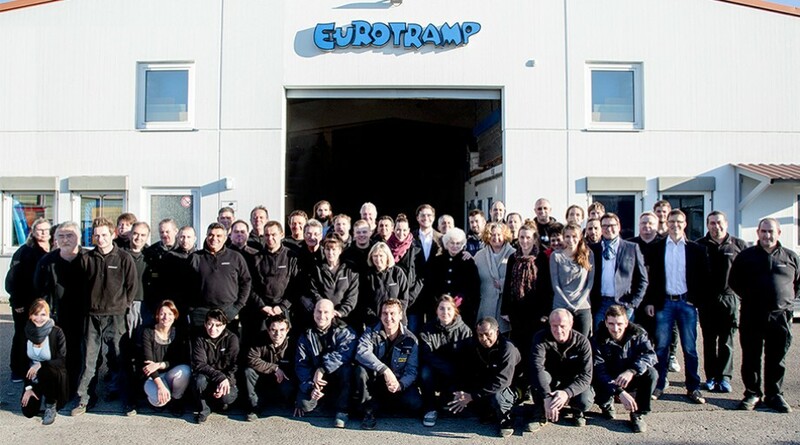 All trampolines are made by Eurotramp. From the 14th until the 17th of September 2016, the International Trade Fair for Urban Green and Open Spaces GaLaBau is taking place in Nuremberg, Germany. • at the stand of our partner Sport-Thieme in hall 1 | stand 1-532. 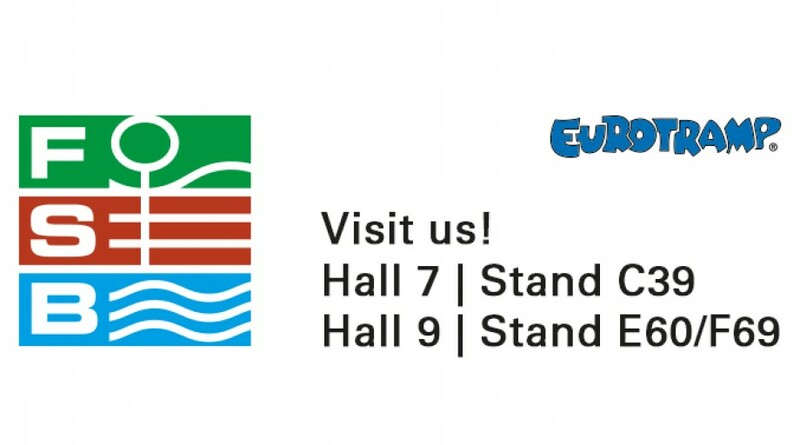 We are really looking forward to presenting you exciting innovations from Eurotramp! 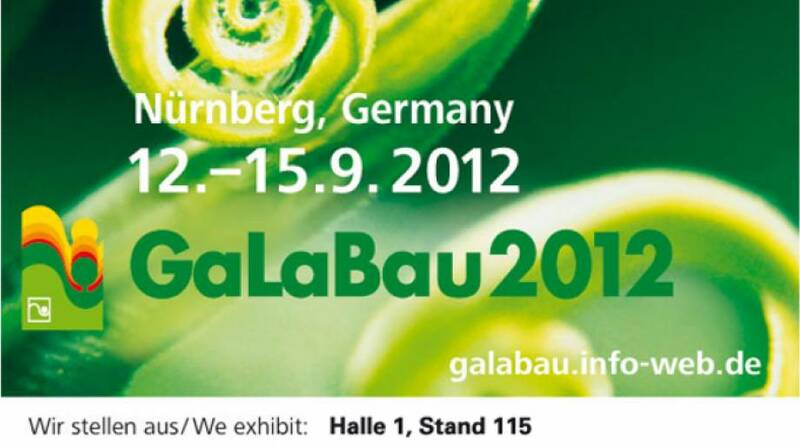 For more information about the trade fair, please visit www.galabau-messe.com/en. Eurotramp was honoured with the education certificate for continious and very high-quality apprenticeship by the German employment agency. Since 2007 the certificate is awarded to companies that are especially committed to the apprenticeship of young people. The award criterias include beside a high training rate also an above-average commitment and a high quality of training. Apprentices at Eurotramp get the chance to work independently and to take responsibility for smaller tasks and projects from the very first day. Language courses and further education are actively promoted. In addition intercultural experiences can be collected at dealers offices and trampoline competitions at home and abroad. 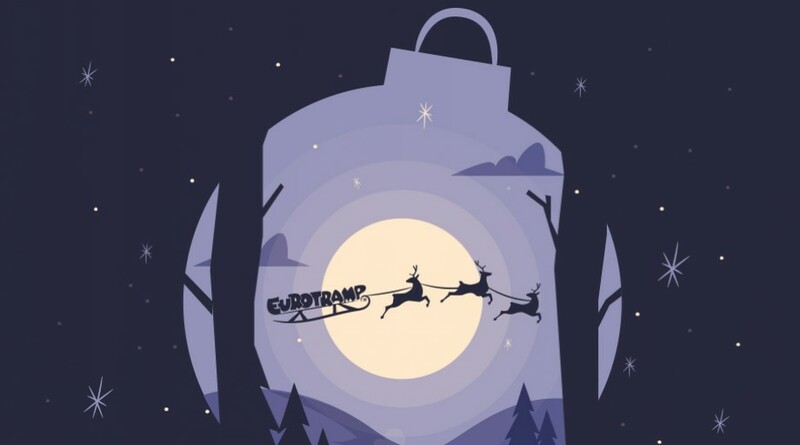 Eurotramps goal is to employ as many apprentices as possible on a permanent basis after their training and to promote professional training of its employees in future. Here we go! Two weeks ago the first Eurotramp Ground Trampolines were installed in the training center Maria Lenk for AqueceRio Diving Test Event. Trampolining is more popular than ever ! Wherever you look, the trampoline is giving fun, joy, health, mobility and so much more. Eurotramp is dedicated to set new standards in the trampoline field with innovations and quality, but also working on safety and education. 2015 was an amazing year and the whole Eurotramp team thanks you sincerely for your cooperation and trust. Together, we're able to thrive new ideas, develop better products and contribute to the sport by promoting not just a product, but also the heart and passion of this wonderful discipline. May the “Zero Gravity” be with you in 2016 ! In Rio, in schools, in urban areas, everywhere. Best wishes from Trampoline-City ! 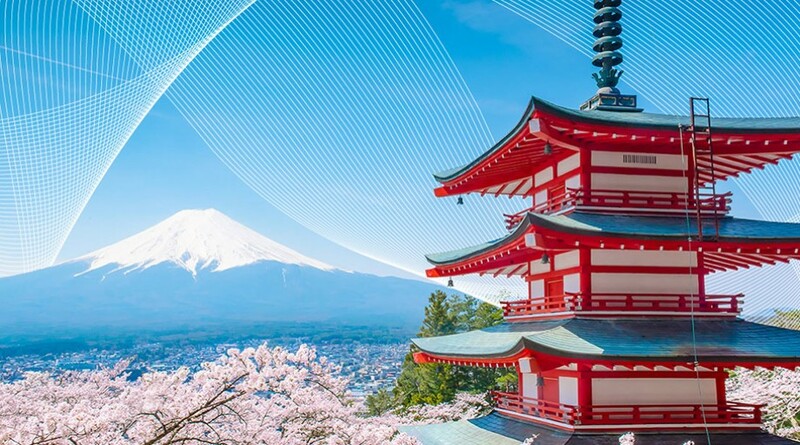 Instead of our classical wishes, this e-greetings, much more environmentally friendly, will allow us to double the amount of our special year-end donation to charity. We are so proud to be able to support, at the level of 10.000 euros, m3nD, a young non-profit organization committed worldwide in the fight against social and economic inequalities. Its multidisciplinary team of voluntary engineers currently works on a research and development project to improve the accessibility of 3D’s printing technologies to manufacture medical prostheses. Their challenge is ambitious. It should allow the needy people and the medical infrastructures of the developing countries to be more autonomous in the definition and the implementation of adapted solutions. We will not forget to keep you informed about this beautiful human and technological adventure in the next weeks. 31st Trampoline World Championships 2015 are over! 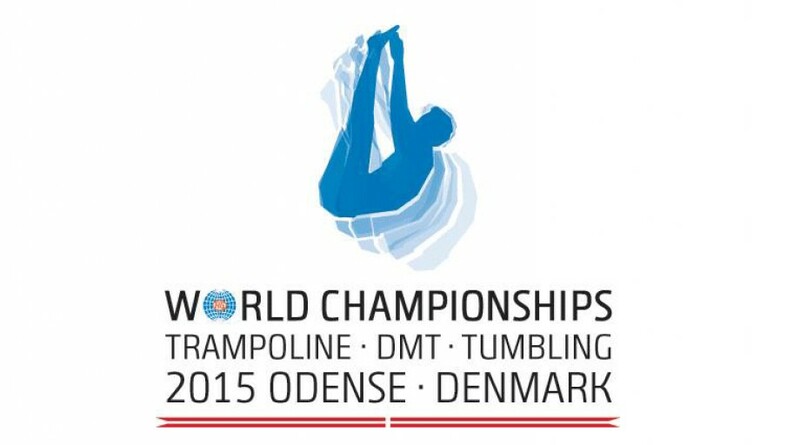 The 31st Trampoline World Championship 2015 took place from November 26th to 29th in Odense, Denmark. It was the first qualification for the Olympics in Rio 2016. Switch to our trampoline gallery www.trampolinepics.com to see all impressions of this great competition! And don't forget: on December 3rd it goes on with the next event, the 24th Trampoline Gymnastics World Age Group Competition 2015 in Odense. We are looking forward to it! Thank you for visiting us at the FSB 2015! A successful FSB 2015 in Cologne is behind us. At this moment, we would like to genuinely thank all our partners for many good conversations and numerous great new ideas. We are sure that, together with you, we will move great things in 2016. In our picture gallery we collected some lovely impressions from the FSB for you. Some highlights can be found as a short video on our Vimeo account as well. Enjoy clicking around! The 6th Loulé World Cup took place from 29th to 31th October 2015 in Loulé, Portugal. 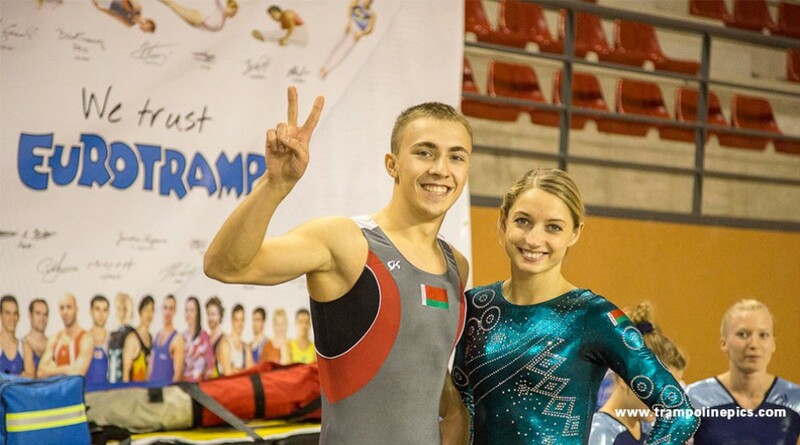 It was the final World Cup of the four FIG sanctioned events in 2015. Switch to our trampoline gallery www.trampolinepics.com to see all impressions of this great competition! 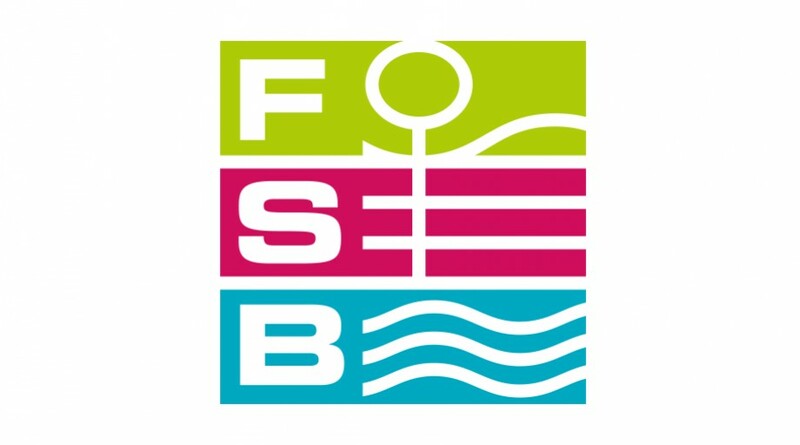 The International Trade Fair for Amenity Areas, Sports and Pool Facilities FSB takes place in Cologne from 27 to 30 October 2015. We cordially invite you to visit us! • and as a special highlight: on a 150m² large trampoline action area in hall 9 / stand E60 | F69. On the 150m² everything revolves around the topic of „Fascination Trampolining – a whole lifetime“. From 27 to 29 October 2015 there will be numerous exciting demonstrations and practical trampoline workshops – stop by and visit us, it’s worth it! For further information please visit the official FSB website www.fsb-cologne.de. 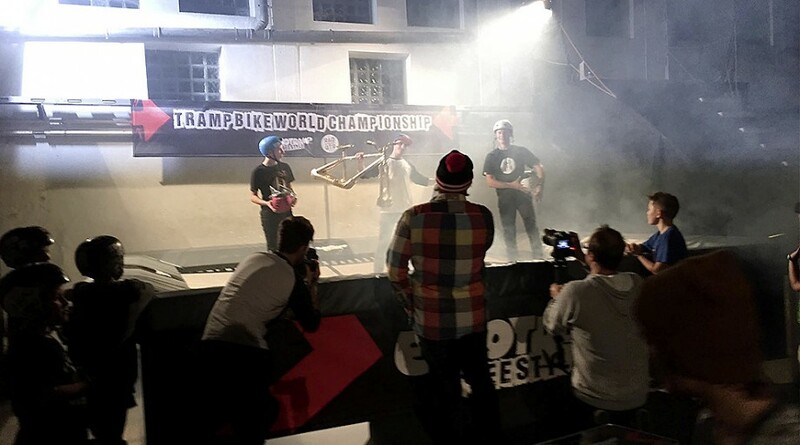 The 2nd Trampbike World Championship 2015 is over! 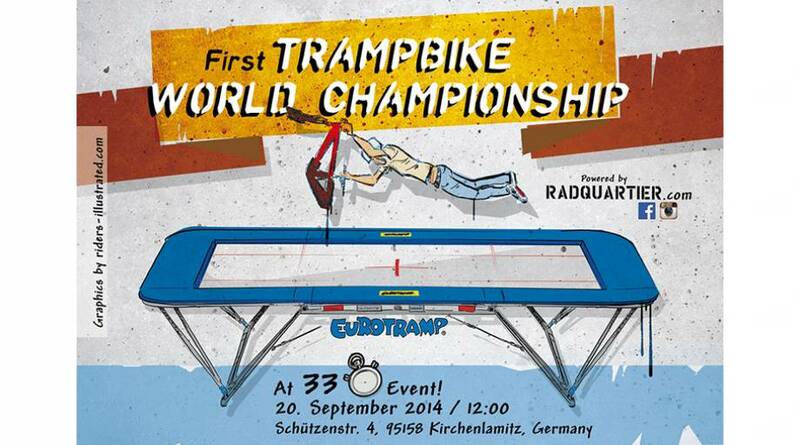 On 26-09-2015 the 2nd Trampbike World Championship took place during the 33 hours event at the RadQuartier Kirchenlamitz. More than 50 participants showed the best tricks in 45 seconds with their modified BMX on the new Eurotramp Freestyle 5² trampoline. Twelve participants made it to the finals. At the end the 19-year-old Jiri Bouska from Kirchenlamitz won the World Champion title and received a golden Trampbike trophy as well as 1000 euros prize money. "Kids Tramp" playground trampolines from the trampoline specialist Eurotramp. Even more than just jumping! 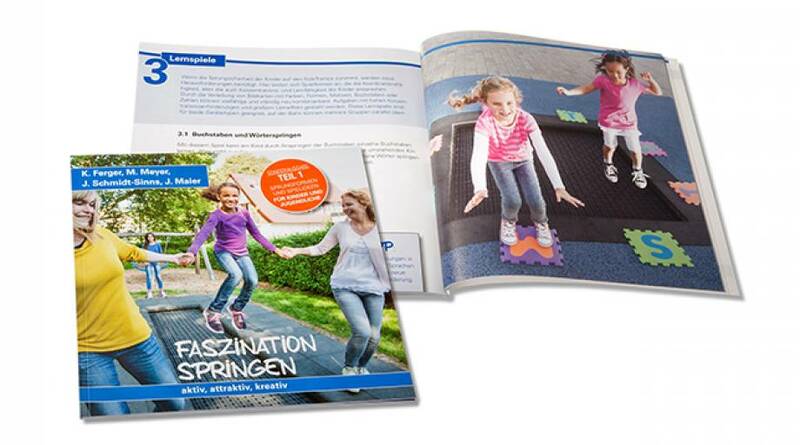 The newly released 52-page booklet “Fascination Trampolining”, which Eurotramp developed together with experienced trampoline teachers, provides educators, training supervisors, trainers, teachers and tutors with numerous ideas and tips for attractive and educational physical activities on playground trampolines. The booklet is now being shipped with every order! Click here for the online flip catalogue of the brochure "Fascination Trampolining". You would like a printed copy? Contact us! Trampoline supplier for the Rio 2016 Olympic Games! 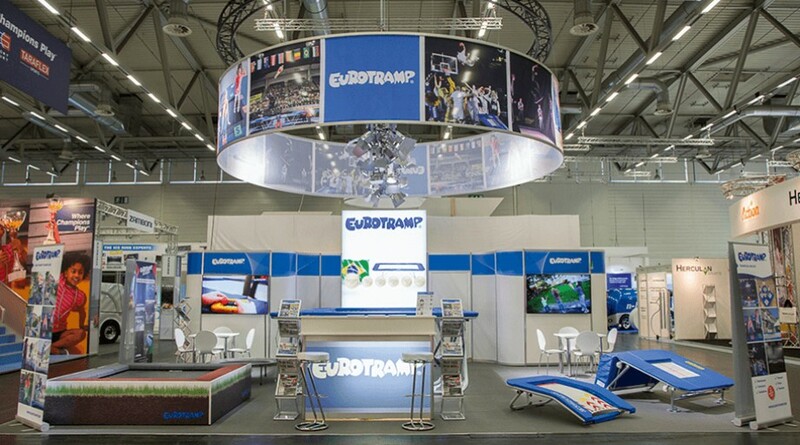 We are really proud to announce that Eurotramp is the equipment supplier for trampolines at the Rio 2016 Olympic Games! 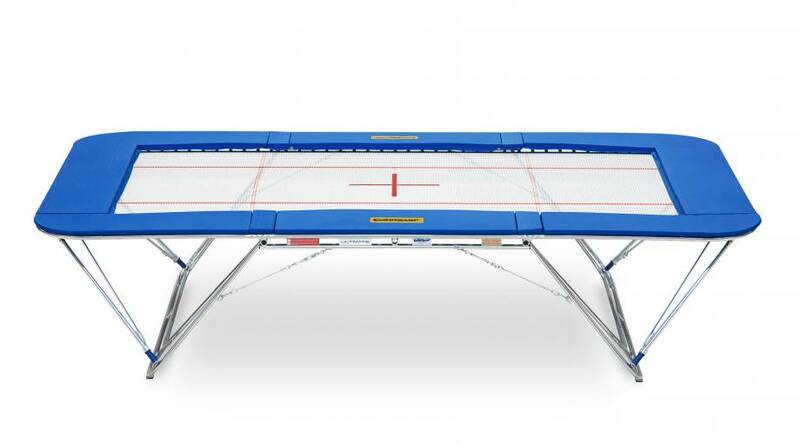 Additionally Eurotramp will also supply the trampolines and trampoline accessories for the dry area of Olympic diving. Furthermore the contract with Rio OC includes the complete trampoline competition services executed by our service teams. Cooperating in a consortium called “SEG” together with Spieth Gymnastics and Gymnova, we will provide highest level gymnastics equipment for the best gymnasts and divers world wide. We are really excited and will keep you updated on our common „Road to Rio”! 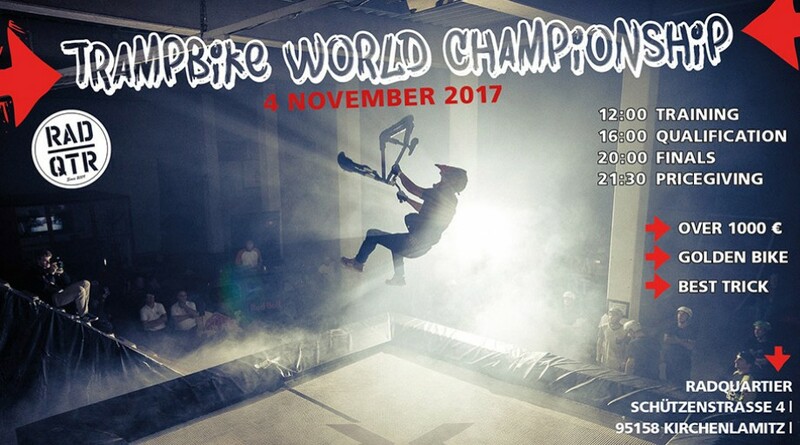 As part of the „33 hours opened nonstop“ event from 20th to 21st September the 1st Trampbike World Championship takes place at Radquartier in Kirchenlamitz, Germany. 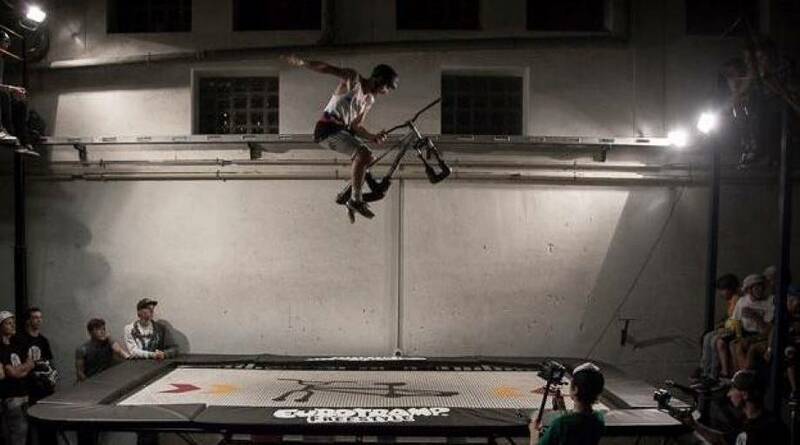 Athletes perform their dopest stunts with a dedicated bike on a Eurotramp trampoline - within 45 seconds. Everybody can join in, there's no special qualification needed for the contest. The Trampbikes will be provided by the organizer. Further information can be found on www.radquartier.com or on the Radquartier-Facebook page. GaLaBau is the only leading european trade fair that shows the entire spectrum of products and services for the design, construction and maintenance of urban, green and open spaces. It takes places from Wednesday, 17 – Saturday, 20 September 2014 in Nuremberg. Visit us at our booth in hall 1, stand 531. We will present our proven playground trampoline „Kids Tramp“ and the new innovative outdoor trampoline track „Kids Tramp Track“. You are welcome to make an appointment at the fair in advance. Please contact our contact person Daniel Mall by email: mall@eurotramp.com or by phone under +49 (0)7023-949582. Please visit http://www.galabau-messe.com for further information about the trade fair. 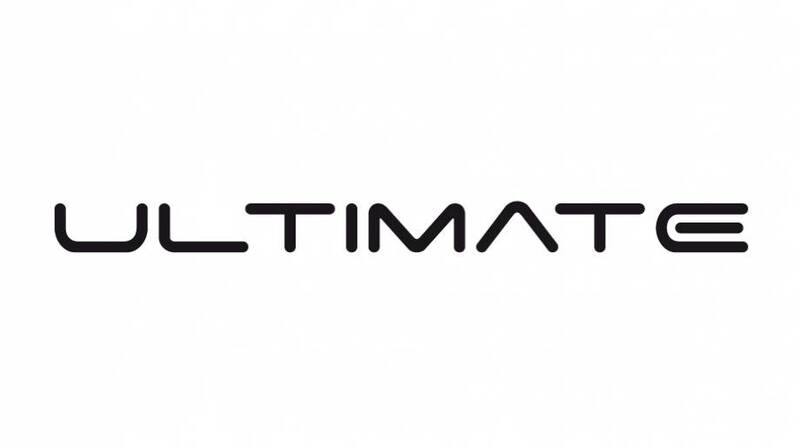 NEW VIDEO "Tips & Tricks on the Ultimate"
Wanna learn more about the technics of Ultimate, tips and tricks how to handle it the perfect way? So just have a look on that new video in our Ultimate product section or on Vimeo (with download link). - "Easy Lock system"; how can I adapt ? - what tools are needed ? - Info about safety tables, stability plates etc. Whenever there will be international contests where Eurotramp technicians are involved we can show everything (work shop) to all the interested people on site directly at the trampoline. Just contact us for further information! We are really proud to announce that Eurotramp is the official exclusive supplier for trampoline equipment of the WORLD TRAMPOLINE CHAMPIONSHIPS 2014 in Daytona Beach, USA (Nov. 7-9)! We are really looking forward to the competition season! From 14th to 15th March 2014 the 4th Kalon Ludvigson Invitational will take place in Salt Lake City (USA). The international competition will be held to honor the american Trampolinist and Tumbler Kalon Ludvigson, who suffered trauma to his neck while Tumbling training in August 2013. He has earned 20 World Cup and World Championships Medals, 2 World Records and 8 Consecutive USA National Titles. It will be the first public appearance after his accident. and Psychomotricity - 5 hours video training) is available since 2011 free of charge and will be lifted to the next level by adding new features - we invite you to promote the trampoline sport around the world! • To make trampolining more attractive and to create a broad basis for top-class sports. • To promote safe trampolining in school sports with profound education. • To improve the quality of physical education. • To raise the sensibility for safety on garden and leisure time trampolines. • Together with you we will build up a worldwide club and coaches network/catalogue on our Trampoline Education Website to offer a platform to all interested teachers, coaches and future gymnasts (click here to get a first impression). your events around the world! From 22nd to 25th October we are going to exhibit at the International Trade Fair for Amenity Areas, Sports, and Pool Facilities (FSB) in Cologne. 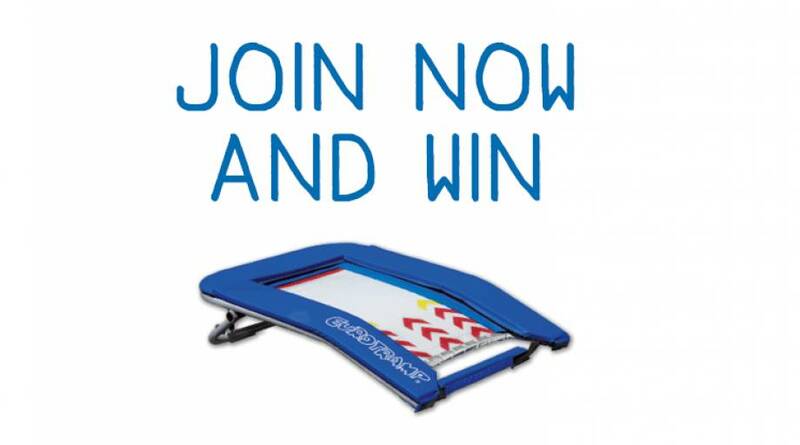 Join our Facebook competition and win a new Booster Board for your club! 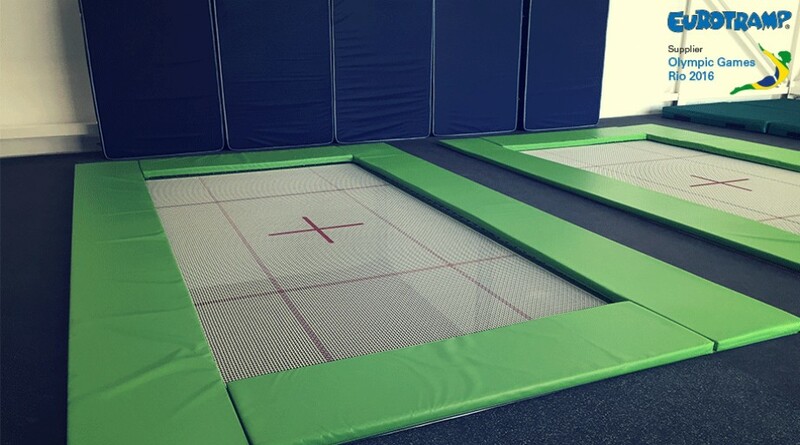 The Booster Boards unite the functionality of a classical springboard with the dynamics, the ease and jumping fun-factor of a trampoline. Good luck for the competition! From 18 to 25 May 2013 the International German Gymnastics Festival takes place in Germany's spectacular Rhine-Neckar Metropolitan Region. As a main partner of the Festival and supplier of the trampoline competitions we are represented with a booth at the local fair. We will show a great selection of our trampolines there and discuss about all your questions. Visit us at our booth no. B5 in the tents 29-31 (Maimarktgelände in Mannheim). We look forward to seeing you there! A great article about the Booster Board appeared in the German trade journal "Educational Assistance For Physical Education", written by the qualified sports teacher Jürgen Schmidt-Sinns (read the whole article in German). • as a springboard in the indoor Parkour and Freerunning, as in contrast to the Minitramp with the Booster Board are also legged jumps possible. If you have any further questions regarding to the article or the Booster Board, please contact us. The new Ultimate 4x4 is now available! The Ultimate 4x4 - official competition trampoline of the World Championships 2013 in Sofia, Bulgaria - is now ready to order. • "Ultimate"-Kit for old safety tables to make them compatible (no need to buy new safety tables) Further information and a short video coming soon. 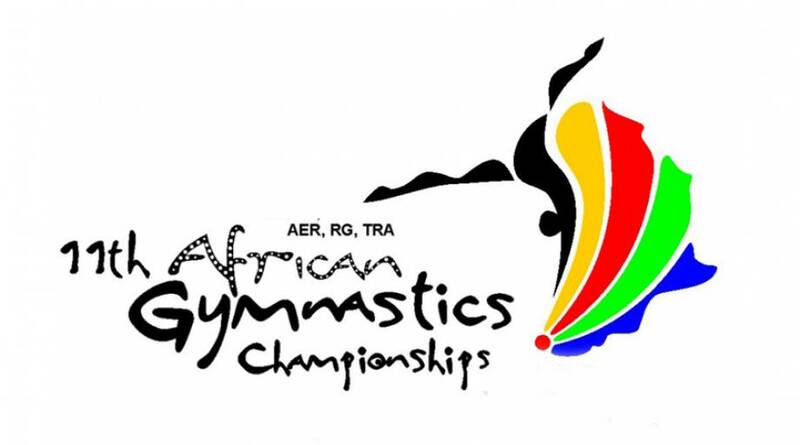 The South African Gymnastics Federation is hosting the 11th African Gymnastics Championships at Tukssport Indoor Sports Centre Pretoria from 08 – 14 December 2012. About 160 participants from Alergia, Angola, Congo, Egypt, Mozambique, Namibia, South Africa, Senegal, Tunisia and Zimbabwe will take part in the competitions. We wish all athletes good luck, success and a lot of fun! All photos from the last competitions in Sofia (World Cup) and Jablonec (Friendship Cup) can be found in our photo community on www.trampolinepics.com. From 12 – 15 September 2012 we exhibited at the trade fair GaLaBau – the leading European trade fair for garden and landscape – in Nürnberg. We have used this opportunity to introduce our newest product – the Kids Tramp Track. The outdoor track is ideally suited for activity trails and playgrounds. It actively supports the coordinational/motor skill and also offers a lot of fun. Moreover, we presented a selection of our playground and kindergarden trampolines, the „Kids Tramp Loop“ and the „Kids Tramp XL“ to the public. The GaLaBau 2012 was a great success with a lot of visitors at our stand and great responses relating to our products and services. For further information about our playground and kindergarden trampolines please go to „Products – Playground & Kindergarden“. This weekend, October 6-7, the final FIG World Cup for 2012 is being held in Sofia, Bulgaria. Over 500 competitors will participate at the competitions at the Arena Armeec Sofia. For more details please visit the official event website: http://www.trampoline-bulgaria.com/ or the facebook event page: www.facebook.com/events/318498191578799/ Good luck to all the participants and coaches and best wishes to the organizers!